In 2013, Cisco issued a ‘field notice’ warning of a problem with its very expensive 3650 and 3850 Series Switches, used in many datacenters around the world. That field notice detailed a major problem with the switches, discovered after they were released: plugging in a cable could wipe them entirely in just a few seconds. The cables, which are sometimes accidentally used in datacenters, feature a protective boot that sticks out over the top to ensure the release tab isn’t accidentally pressed or broken off, rendering the cable useless. 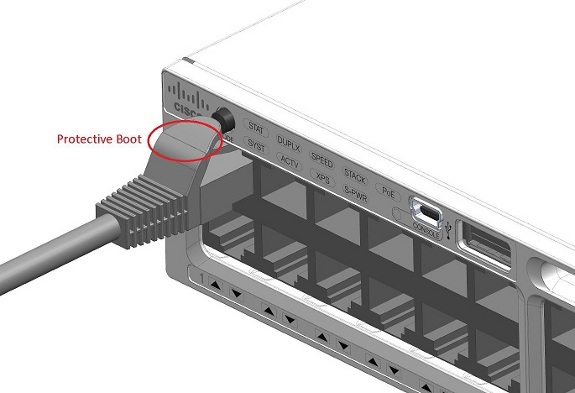 That boot would hit the reset button which happened to be positioned directly above port one of the Cisco switch, which causes the device to quietly reset to factory settings. Such a situation could cause a problem in any size datacenter, where these switches and cables are commonly used. If someone plugged in a cable to port one unknowingly pushing the button, they’d possibly be taking down the entire network without even realizing it. If your switches are configured right, however, the blip should be only brief. It’s amazing that Cisco didn’t catch this before the device was released, let alone that the ‘fix’ for the problem which suggests using a different cable or cutting off the boot. There’s an easy way to prevent it happening at all, by disabling the button, but I’m sure this caught out many network engineers well before they realized the ridiculous problem responsible for taking down their entire network.